Weeping willow trees are well known for their majestic and beautiful branches, which add striking visual appeal to the landscape. 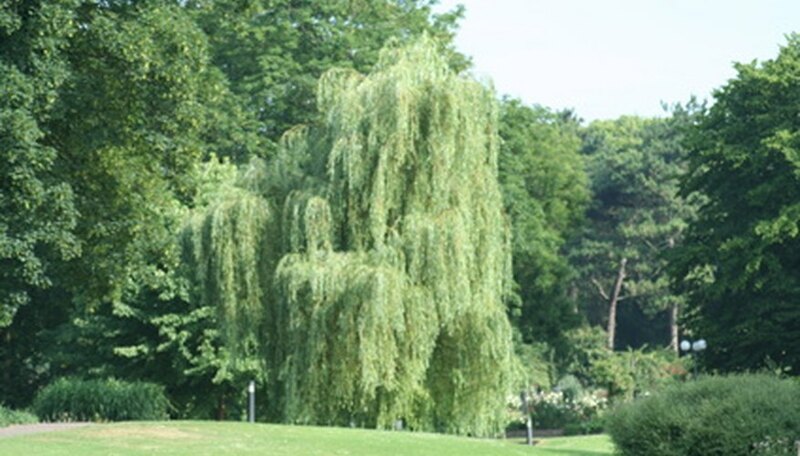 However, not all landscapes offer ideal conditions for a weeping willow. These trees need plenty of room to grow and they have aggressive root systems, which can damage drainage pipes. Luckily, a number of other trees can be planted near the home that won’t intrude on drainage and underground waterways but still offer the grace and aesthetic values associated with the weeping willow. The weeping cherry tree (Prunus subhirtell) was introduced in 2006. This tree features graceful, sweeping branches, 20-30 feet at maturity, which do not get as large as those of a weeping willow, which reach 30 to 50 feet by maturity. In addition, weeping cherry trees feature light pink flowers that bloom into a spectacular display each spring. 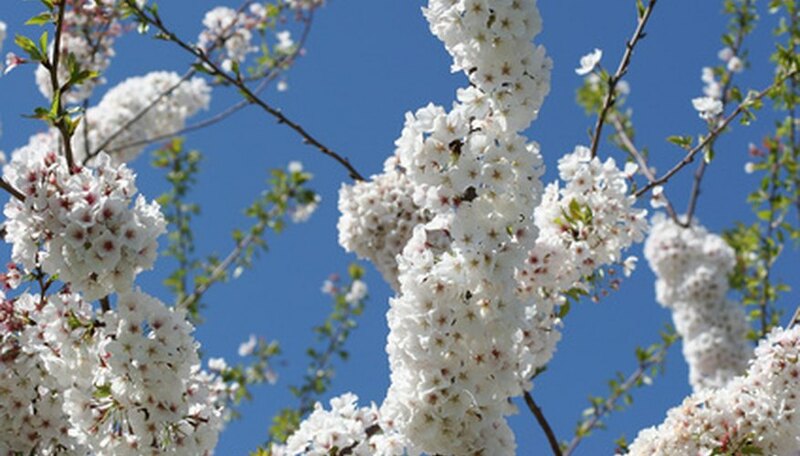 According to the University of Florida IFAS Extension, the weeping cherry tree adds visual interest all year long with blooms in spring, green foliage and weeping branches throughout summer, bright yellow foliage in the fall and bare sweeping branches in the winter. 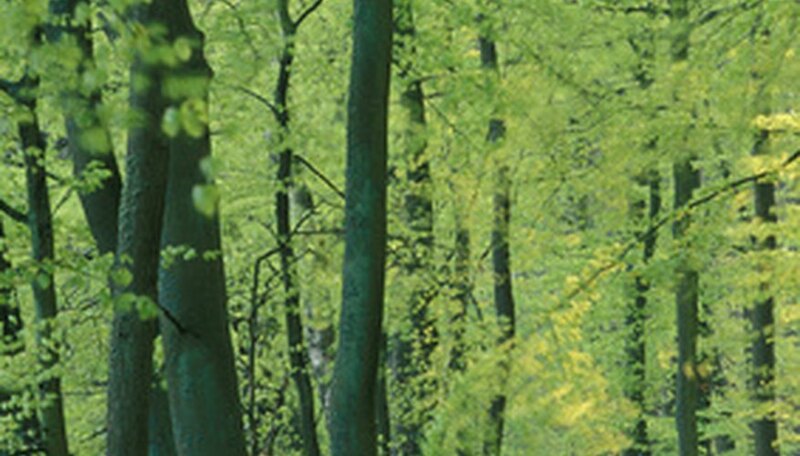 These trees prefer full sun but will tolerate partial shade and will thrive in almost any soil condition. IFAS states that weeping cherries prefer being sheltered from the wind. They are often found in USDA hardiness zones 4 through 8. The weeping crabapple (Malus) is another four-season pleaser. The Ohio State University Horticulture Department states that this tree offers white, pink, red and even salmon-colored flowers in the spring, dark green foliage throughout the summer, brilliant foliage and fruit in fall and brilliant berries accented by the bleak landscape in the winter. Crabapples produce small edible apples in the fall that have a slightly tart taste. These trees are smaller that both weeping willows and weeping cherries. They commonly grow to 15 to 25 feet at maturity and prefer clay or sandy soil. 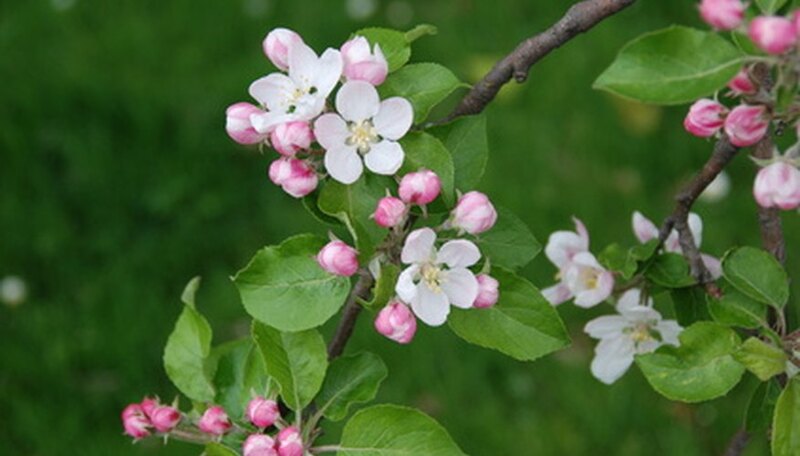 For the best blooms and fruit, crabapples should be planted in full sun. In addition, fully established crabapple trees are drought-tolerant. These trees thrive in hardiness zones 4 through 8. The weeping European beech tree (fagus sylvatica) is similar to a weeping willow in many ways. This tree grows to be 30 to 50 tall at maturity and offers a weeping mass of green foliage, the U.S. Department of Agriculture’s Forest Service states. Although this tree does produce flowers in the spring, they are not particularly showy. However, the weeping beech tree does thrive in partial shade and a variety of soil conditions as long as adequate drainage is available. In addition, the Forest Service asserts, the weeping beech makes a fine specimen for large-scale landscapes. “It may be the most picturesque of all the weeping trees,” the Forest Service states. Unlike the weeping willow, this tree’s root system will not gravitate toward underground waterways such as drainage pipes. But weeping beech roots may disrupt sidewalks or pose mowing problems. The tree thrives in hardiness zones 4 through 7.